"The Spirit of Black Hawk" mural was located at Black Hawk Pedestrian Park, College and Washington Streets, downtown Iowa City. 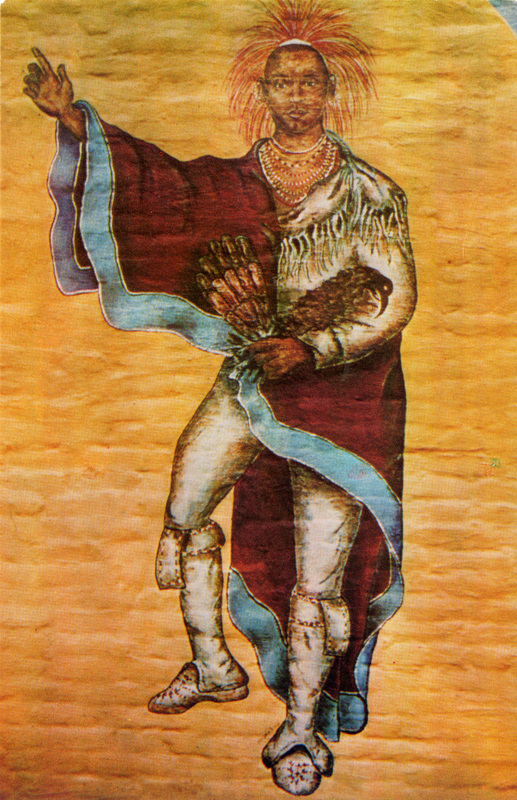 Mural design by Eric Christenson, detail of Black Hawk painted by William Heyer. 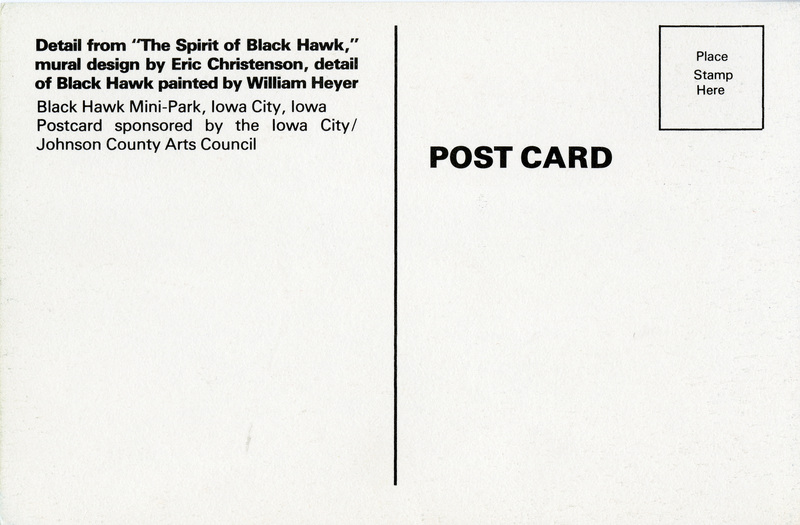 Black Hawk Mini-Park, Iowa City, Iowa. 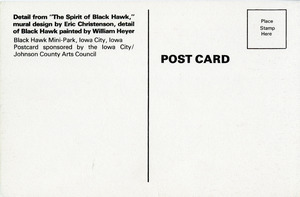 “Detail from "The Spirit of Black Hawk", Iowa City,” Iowa City Public Library, accessed April 19, 2019, http://history.icpl.org/items/show/1434.